The week of January 8, the Golden Eagle Theater began their spring semester with The Day Aliens Attacked Fairfield. 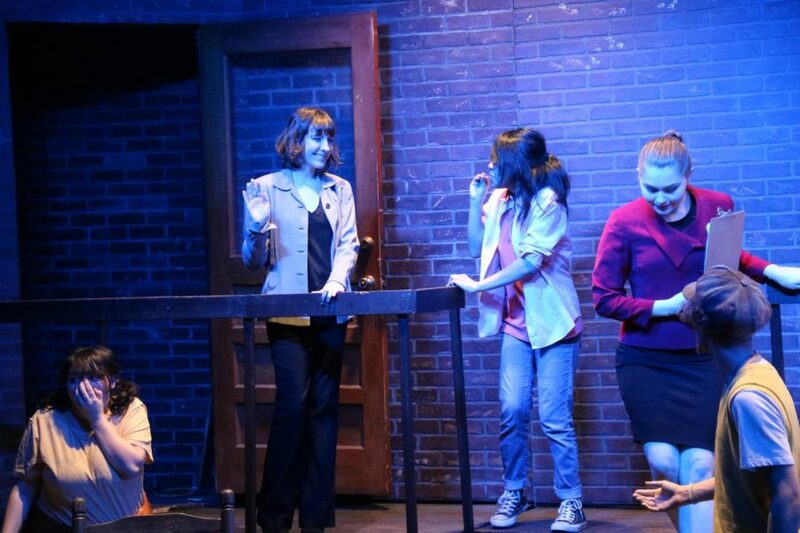 The play is about a young girl named Lucy, played by Brenda Avias, who was concerned with the lack of excitement in her town, and narrates the story of how aliens, green ones with inaccurate maps, found themselves lost in her area. The town sprung into panic and preparation for the arrival of the aliens. Special alien-protective hats, eight-layer dips, and “Did anyone order a pizza?” all contributed to making a great play. The cast noticeably did an excellent job with enunciating their lines, using body language, and facial expressions to really give their parts life. Actors like Cameron Pierson, who played the dad, consistently brought laughter to the audience with his personality that was just the right amount of awkward, nerdy, and funny. Jordan Underwood, who played Ted Handsome, a news reporter, kept the audience familiar with him by making a ‘pop!’ sound with his mouth after every take. Because of the lack of big stage props, the play was held in the black box theater. The floor in front of the seating area was used as a stage and behind it was a balcony. Though it was unstable in some moments, earning an audible gasp from the audience, it held up nicely and contributed to the character’s story. The Golden Eagle theater hilariously brought in 2019 with their play. Be on the lookout for their upcoming productions.